The Loar Group Announces the Acquisitions of SMR Technologies and BAM Inc. The Loar Group (Loar) announced today that it has recently added SMR Technologies, Inc. (SMR) and BAM Inc. (BAM) to its family of companies. Headquartered in Fenwick, West Virginia (USA), SMR specializes in the design and manufacture of high-quality de-icing systems for corporate and general aviation aircraft, flexible couplings and surge boots used in airborne refueling technology, and hovercraft skirts for use by the United States Armed Forces. SMR also supplies other highly engineered products to the commercial and general aviation markets, including applications utilizing composite materials. Approximately 39% and 28% of SMR’s revenues have applications for general aviation and commercial end markets, respectively, with the balance of revenues supporting the defense end market. Headquartered in Knoxville, Tennessee (USA), BAM utilizes proprietary, high temperature technologies to create high temperature furnace systems used in processing and manufacturing a variety of advanced materials. BAM’s primary application of their proprietary technologies is in the processing of aircraft carbon braking discs. Given the frequency of replacement and overhauls of these brakes, over 90% of BAM’s revenues to the aerospace end market are generated in the aftermarket. 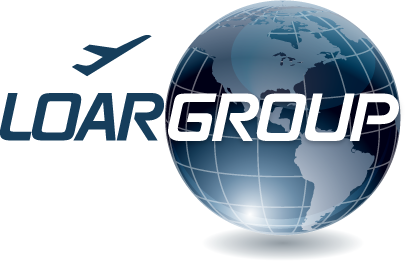 Loar Group is a diversified manufacturer and supplier with established relationships across leading aerospace and defense OEMs worldwide. The company’s mandate is to create a strategic global alliance of companies specializing in the design and manufacture of aerospace and defense components. Loar provides its partners and customers with innovative, cost-effective capabilities and responsive, dependable service, leading to profitable and sustainable long-term relationships. For more information please contact Mr. Dirkson Charles at dirksoncharles@loargroup.com. Copyright © 2019 Loar Group, All rights reserved.